Ben is the president and CEO of Taatjes Financial Group. 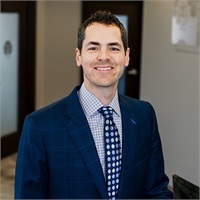 After graduating from Dordt College, Ben began his career working with a large CPA firm as a tax planner and financial advisor. Leveraging a strong background in tax and accounting, and having a passion to help others achieve financial freedom, he founded Taatjes Financial Group in 2006. Taatjes believes in the concept of "True Wealth". In fact, it's a foundational belief among the entire Taatjes Financial team. Wealth and money do not make us happy. Ben believes time, family, and experiences are the greatest commodities life. So, he and his team are dedicated to serving the community in a way that allows them to live their own dreams and lives to the fullest. “Whether someone is struggling with debt, a first-time saver, or a retiring CEO, I hope to inspire our clients to build 'True Wealth'. We have the tools and the desire to help people of this region achieve their goals which go far beyond money", Taatjes says. Ben released his first book, "Repurposed: The Untold Story of Retirement in America" in 2017. This book represents the heart of Taatjes Financial Group - to be much more than just retirement planners; but rather coaches to help bridge the gap between our client's working years and a healthy, fulfilling and impactful retirement. Taatjes is a member and past treasurer for Unity Christian Reformed Church in Prinsburg and past board member and treasurer for Central Minnesota Christian School. He holds a Series 7 (General Securities Representative) and 66 (NASAA-Uniform Combined State Law Exam) as well as insurance designations. Taatjes is also the only financial advisor in the Willmar area endorsed by Dave Ramsey and truly has a “heart of a teacher". Ben resides in Prinsburg with his wife, Megan and their two daughters, Lauren and Addilyn.